At Multiverse Media Group that we value our diversified portfolio of clients and love assisting local small businesses to thrive in a digital environment. We recently came together with Gracie Barra Jacksonville and professional NoGi Jiu Jitsu black belt professor, Roberto Cuartero, to develop a revolutionary new application designed to push your body and your skills! The application was filmed in full HD using slow motion cameras, from multiple angles, to show the user precisely what movements they need to learn. Each one-hour training session features 30 techniques, with sets and repetitions to be completed by yourself and a partner. The slow motion effect allows the user to see, in full HD detail, the exact move and can be replayed for convenience. The partnership we created with Gracie Barra, Roberto Cuartero and ION Visual Learning Technologies allowed for a beautifully constructed mobile app. One that can push the boundaries of how people learn NoGi Jiu Jitsu and can spread awareness of the martial art techniques presented by Cuartero and his team. NoGi Jiu Jitsu is a style of Brazilian Jiu Jitsu, where they don’t wear the traditional heavy cotton kimonos, commonly known as ‘Gi’s. Instead NoGi fighters tend to wear compression shorts and a pair of board shorts. Females tend to wear the same with an added sports bra. This change of garb changes the way the practitioners fight and prevents any sort of pulling or holding on to sleeves. 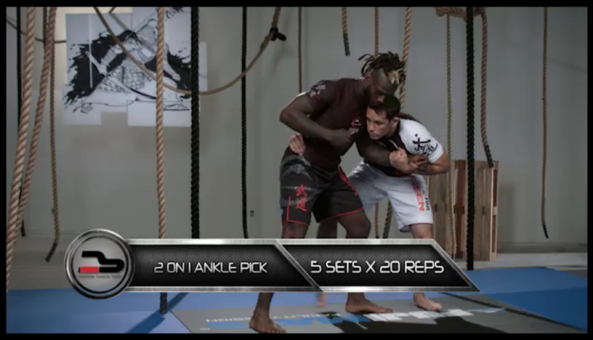 Instead fighters are forced to perform locks or holds while grappling the opponents body handles, such as the neck, wrist, elbow, knee, hips, etc. If you find that you need similar video production and app design services, feel free to contact us for a free consultation.